Nestled in the quiet yet convenient Ellerslie neighborhood, this carriage style condo unit offer proximity to various amenities that line Ellerslie Road, including grocery stores, restaurants and cafes. Plus, South Edmonton Common, the Anthony Henday Ring Road and Century Park LRT are all just minutes away! Tons of parks and schools dot the area, making this an ideal area for families or those who love the outdoors! The unit itself features stunning laminate flooring, tons of natural light and a large front facing balcony! Plus, this unit comes fully furnished with everything you need! Everything you see in the pictures is included! You'll love the modern, stylish furniture found within the unit, including two queen size beds! Head up the stairs through the front door and find the open concept living room, kitchen and dining area featuring stylish laminate flooring, tons of lighting and beautiful furniture including a large black sectional, bar stools and a massive dining room table! You'll love how this apartment looks! The kitchen offers a large island, stunning white cabinetry paired with dark tile backsplash and counter tops. Plus, there is tons of extra space in the large pantry! This kitchen is fully stocked with every essential and ready for move in! Down the hallway you will find two large bedrooms with beautiful décor and one large queen bed along with a full bathroom complete with tub shower. 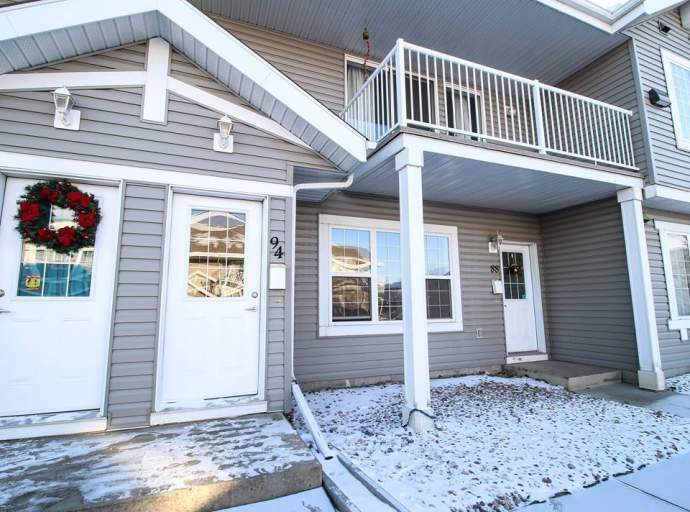 Included in the rent is heat, water and one outdoor energized parking stall! Call today to view this amazing furnished unit! One Small Dog or Cat may be accepted, subject to $250.00 Non Refundable Pet Fee.